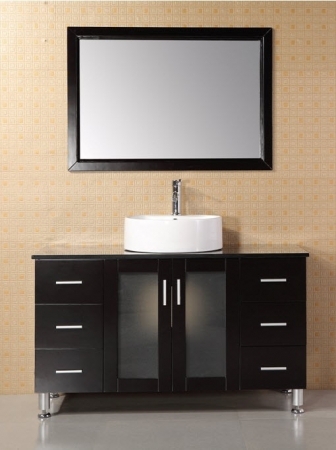 Bring simplicity to your bathroom with this 48 inch single sink vanity. 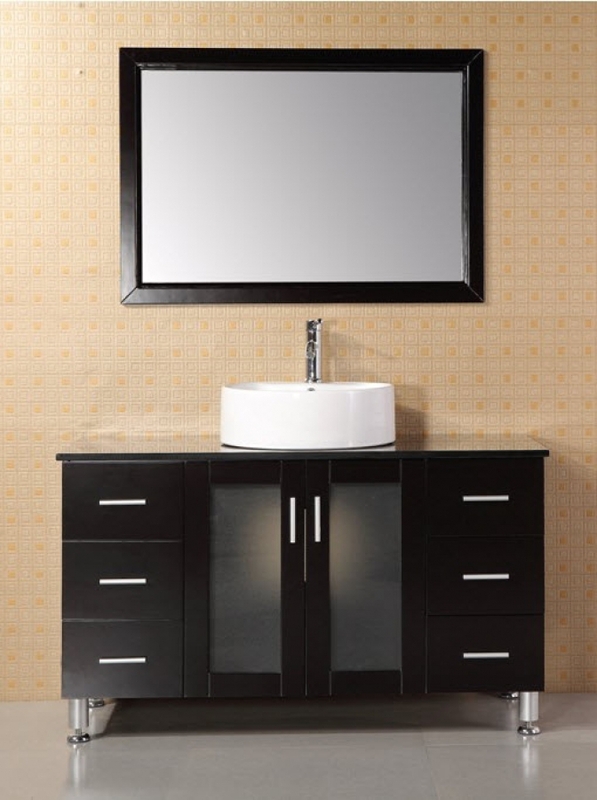 The dark cabinet is off set by tempered glass paneling in the doors and a white vessel sink above. 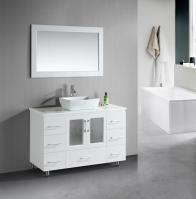 The width of the piece leaves plenty of room on the counter top and makes way for six storage drawers, three on either side of the cabinet. Comes with a matching mirror.